my life as a brownie. : for all the girls. It's a great feeling to be alive for such a day. I feel it really has to do with the event I am putting on in January. It is for an organization called One! International and they teach literacy to children in the slums of Mumbai. This organization is really helping girls and boys live a life where they can succeed more than they ever dreamed of. It is an organization that encourages girls and boys to focus solely on education. For girls the problems begin when they are sent off to be married at such a young age. It is said worldwide, "two-thirds of the 130 million chidlren who are not in school are girls; more than 25,000 girls under the age of 18 are married everyday, and in the devloping world, one-third of girls are married before they turn 18"
My mother always says that education is a way for girls and women to escape a life they should not have to lead. 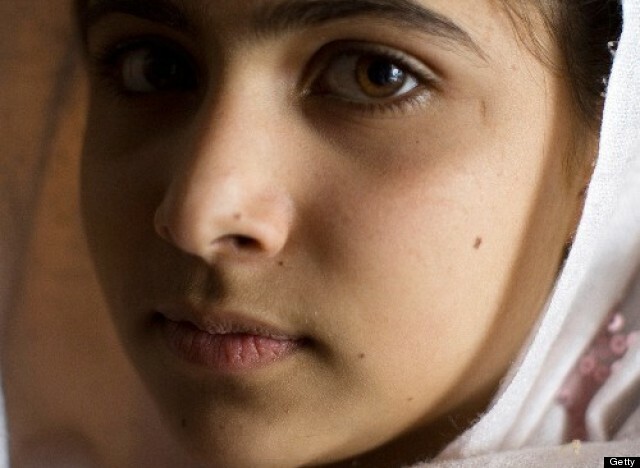 My post is dedicated to a specific girl named Malala Yousafzai. Yousafzai was born in 1998 and wrote to BBC speaking about her life northwest of Pakistan and the many struggles she faced because of the Tailban. She is known to be an activist for young girls. She was shot in the head and neck when returning home from school on October 9, 2012. I dedicate this post to her for being such a strong girl and fighting for her beliefs and rights when no one else could. Being raised in Canada, I cannot even come close to understanding how this even happens. If an incident like this would happen in my country, many groups and people would fight for this precious little girl to one day get justice. It's so unfortuante. I think it's time we educate the older generation along with the young. Hopefully one day we can rid some of the stubborn, inhumane mentalities out there and make them realize how much harm they are causing. Our prayers are with you right now as you struggle for your life. Very touching post. Thanks for making me aware of this. The common sentiment I come across online is that educated women are the best defense (and offense) against extremism, poverty, bigotry, etc. in honour of International Day of the Girl... thought you might like this. "Afghanistan's Girl Skaters – Kabul 2012"
Sorry for the late reply, seems as though I'm only seeing this now. John- yeah it touched me as well and no problemo buddy! Matt- what a great article. Thanks for sharing. It's always grey- not black or white. Kristin-THAT WAS AWESOME!!!!!!!!!! THANKS!!!! !